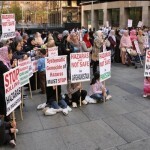 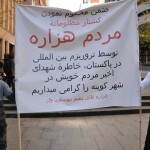 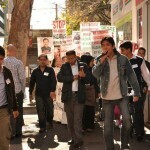 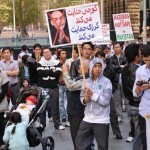 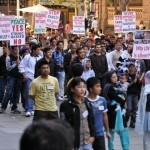 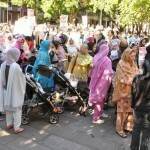 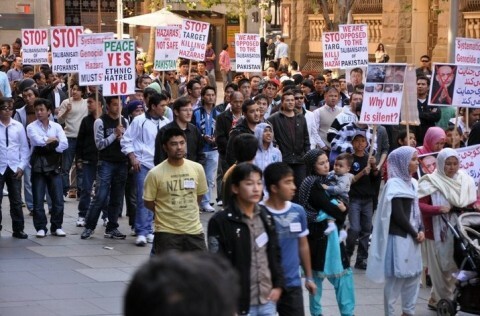 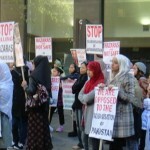 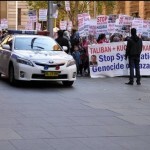 Hazara People:Hundreds of Australian Hazara men and women protested in Sydney against brutal Kochi attacks on Nahur and Behsood and condemned the systematic genocide of the Hazaras in Afghanistan and Pakistan. 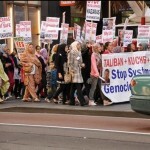 Condemning the killings and lootings by Kochis, the demonstrators asked the Australian officials and the International Community to break their silence on crimes against humanity and put pressure on corrupt Afghan government to stop this genocide. 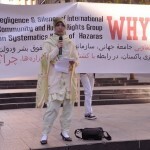 In the attacks of this year on Nahur in Ghazni province.Dai Mirdad and Behsood in Maidan province, many people are killed, thousands are forced to flee their area and tens of houses are burnt by Kochi Taliban. 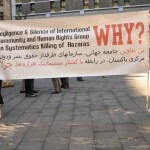 As said by the demonstrators, the Afghan government itself has a hand behind this issue. 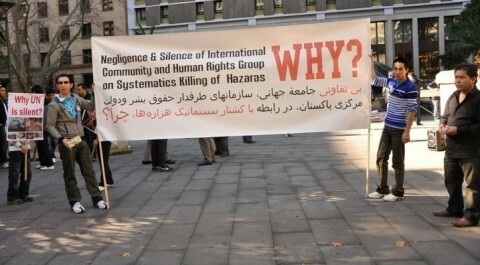 It supplies and supports the Taliban by the name of Kochis and sends them to the Hazara areas, this way they put the Hazaras under pressure and stops their work for democratization of Afghanistan. 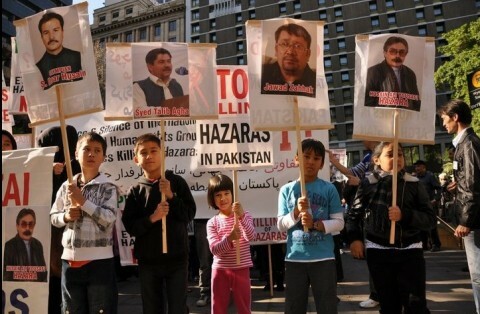 As they added, the Hazaras are the only wall against extremism and fundamentalism in Afghanistan that is why they need the support of the International Community. 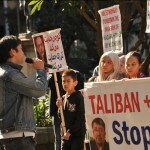 The demonstrators also condemned the process that exempts the Taliban from the prosecution as war criminals, which instead gives them special privileges for the crimes they commit against humanity. 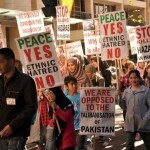 They said, forgiving terrorists and giving them special privileges would increase the number of terrorist groups in the country and would lead the country once again towards the civil war as it happened in the early 1990s. 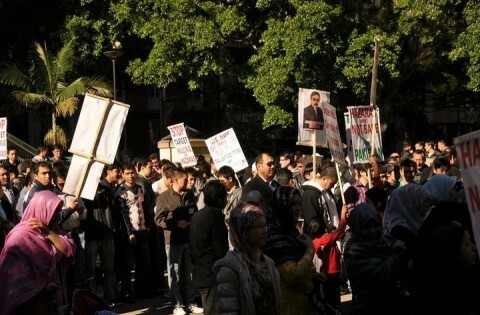 The people in this gathering while holding placards and different photos including Jawad Zuhak’s, the popular Bamyan head of provincial council who was kidnapped and killed by the Taliban about a month ago, asked for justice and the trial of Jawad Zuhak’s murderers. 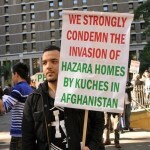 This is not the first year but since long, every year in the spring the Kochis attack the defenseless Hazaras and loot their belongings burning their houses, which is now more complicated as the Taliban are with them. 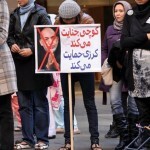 Since the talks with the Taliban had began through a preferential conciliation process, the corrupt Afghan government under Karzai leadership would give direct and indirect support to them and to the Kochis so to use the Kochis as a pressure tool against the non- Pashtoon ethnics of the country. 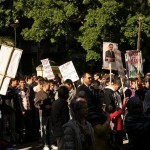 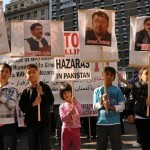 The Hazara People correspondent in Italy has wired that in a few days the Italian Hazaras would also have a demonstration against brutal attacks of the Kochi Taliban on Nahur, Dai Mirdad and Behsood through which they would ask the Italian government and the European officials to put pressures on Karzai government to stop the split of Afghanistan and save it from another civil war. 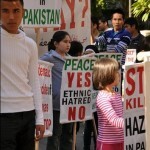 The Hazaras always have believed in peace and democracy through brotherhood among the ethnics of the country and free positive competitions to take Afghanistan toward development, but they have always been threatened by the fundamentalists and extremists who have killed many of them. 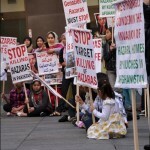 The Hazaras’ views and their activities for promotion of democracy in Afghanistan weakens the position of fundamentalists thus they tend to kill Hazaras to clear the way for the extremism in Afghanistan and Pakistan. 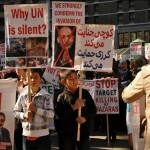 Since late 2008, the extremist groups have begun a series of target killings that have so far killed several Hazara political leaders and human rights activists in Afghanistan and Quetta Pakistan. 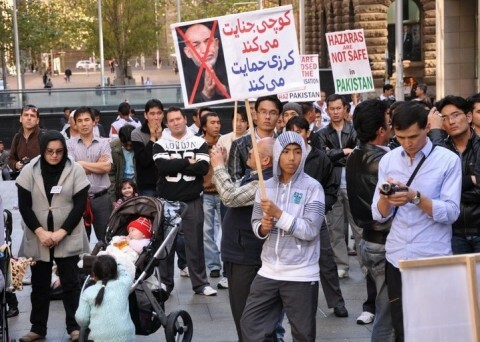 Based on the evidences, as the extremists get more power and have their influences on the Afghan- and Pakistani governments, it is to say that the Afghan and Pakistani governments both are influenced by the extremists to support them kill the Hazaras. 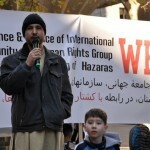 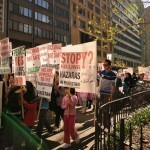 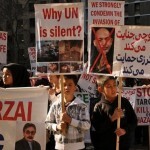 The Hazara People International Network asks all Hazaras in different parts of the world such as America, Canada and in the European countries to do the same as the Australian Hazaras, enjoying the democracy in their country of residence use the only powerful weapon “civic protests” against racism, injustice and ethnic cleansing in Afghanistan. 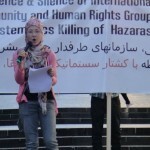 The Hazaras in different countries have the responsibility to be a voice for those who are voiceless in the mountains of Hazarajaat and deliver their message for peace, justice and brotherhood. 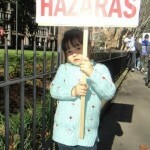 The Hazaras are all sure that one day the democracy will win, that is the only way Afghanistan should go to, otherwise no peace would come there.